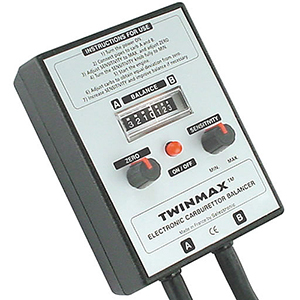 The famous Twinmax is the only professionaly accurate Electronic Carb Balancer available at a domestic retail price. The Twinmax was tested by RiDE Magazine as the most accurate Carburetor Balancer. Synchronising carbs using the TWINMAX is Simple and Quick, providing Professional Level Accuracy at an affordable price of just £79.00!